Frankfort Plant Board (FPB) Broadband suggested softwar, including anti-virus protection, an 800 number and more for your FPB Broadband connection. Unfortunately, FPB Technical Support Representatives cannot provide any assistance (for installation or usage) for the software listed below. Please take the necessary precautions of backing up critical data before downloading or installing any software from the Internet. As always, if you have technical problems getting on the Internet, please call our toll-free, 24/7 Technical Support number. Please read our Disclaimer before downloading or using software suggested here. McAfee Stinger is a portable anti-virus scanner to detect and remove specific viruses. It is not a substitute for full featured anti-virus protection, but rather a tool to assist administrators and users when dealing with an infected system. For full-time anti-virus protection you should consider using avast! or Microsoft Security Essentials (see below) or purchase a commercial anti-virus software package. Microsoft Security Essentials provides real-time protection for your home PC that guards against viruses, spyware, and other malicious software. The product replaces Windows Defender for malware protection and adds additional anti-virus, rootkit and Trojan scanning capabilities. It offers automatic updates, optional scanning of archive files, support for removable drives, email attachment scanning and more. avast! 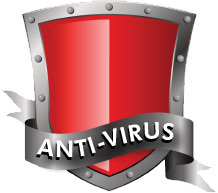 Free Antivirus is a complete anti-virus package, that is free for registered home non-commercial users. It contains an on-demand scanner with two interfaces (simple for novices and advanced for experienced users), an on-access scanner with Standard Shield (which protects against execution and opening malware programs) and an embedded e-mail scanner which scans incoming and outgoing email messages. SnapFiles is a download site that has consistently provided quality software evaluations and reviews since 1997.